Archibald Alfred Rhook was born at Tyrendarra in 1889 to Matthew Charles Rhook and Elizabeth Jane Quick. By the early 1890s the Rhooks, a large family, had moved to Hamilton. On 22 July 1915 at the age of twenty-five, Archie Rhook enlisted in Melbourne and sailed on the HMAT A40 Ceramic on 23 November 1915 with the 14th Battalion. At the time of Archie’s enlistment, the Rhook family were living in Eversley Street, Hamilton. By March 1916, Archie was in the Middle East and transferred to the 46th Battalion receiving a promotion to Lance Corporal soon after. The 46th Battalion moved to France and in October 1917, Archie was wounded. 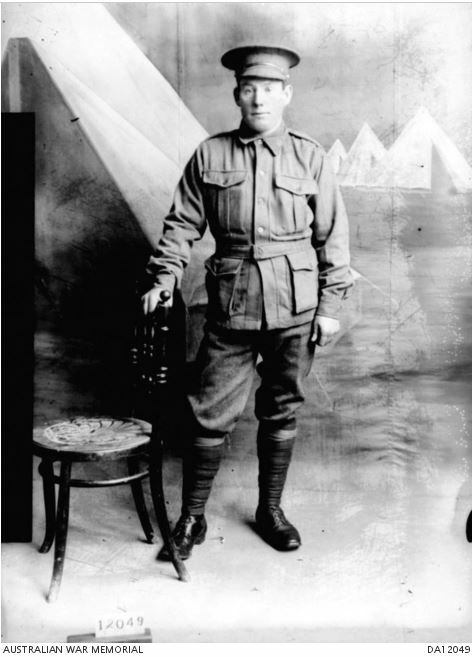 After a few months in hospital, Archie returned to his battalion only to be shot in the knee on 3 June, 1918. He was evacuated to England and spent time at the Weymouth Depot before returning to Australia on 8 April 1919. By 1931, Archie had married and was living at 28 Moore Street Hamilton with his wife Annie. They went on to have two children. 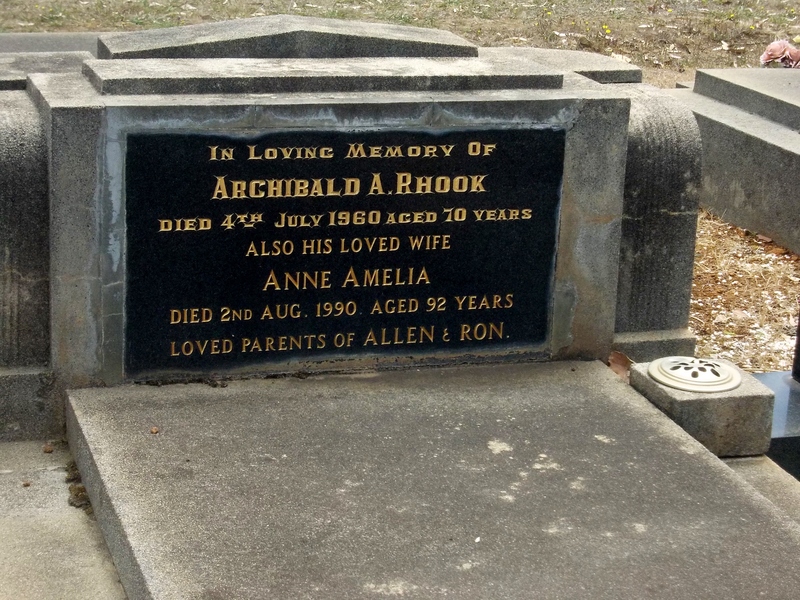 Archibald Alfred Rhook passed away on 4 July 1960 aged seventy. GRAVE OF ARCHIBALD ALFRED RHOOK AND HIS WIFE ANNE. OLD HAMILTON CEMETERY.